This week marks one year since we boarded a plane in Paris and set out for home, our (first) Camino officially over. 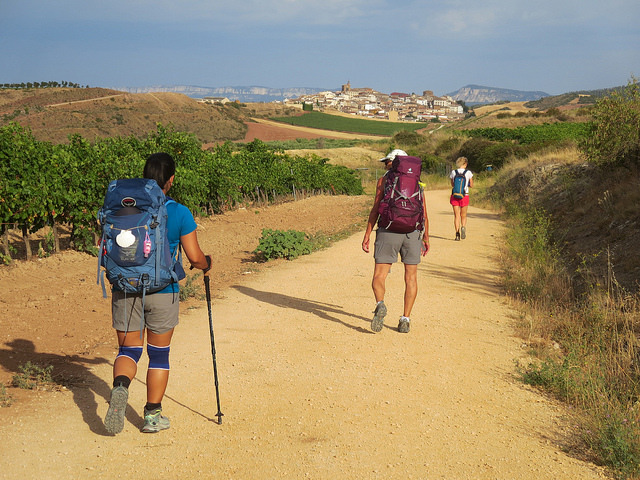 I’ve heard many Camino pilgrim stories about the rough re-entries to “real life.” But wow, our first few hours, and then days, were almost comically awful, and an opportunity to practice a few of the lessons and skills we’d picked up in our 79-day walk. Because it was a holiday (translation: expensive) weekend in the U.S., we’d booked our return flight into Vancouver, BC, which is only about a three-hour drive from Seattle. And we had a good friend who’d volunteered to give up his Sunday to drive up to Vancouver and pick us up. Now, this friend drives a very small car, so the plan was that he would pick up our bigger car, which had been sitting at our apartment building for three months, for the airport run. And this is where things start to fall apart. Pre-Camino me might have panicked. Post-Camino me, I’m happy to say, took this turn of events more or less in stride. Eric and I were used to dealing with surprises by this point. One of his most-often-used Camino mantras was “practice acceptance.” The albergue is full? Okay, let’s find another one. The only market in town is fermé (closed) for no apparent reason on a Tuesday? Okay, let’s keep walking. Stuck with a surly bar owner or hostel manager? Okay, we’ll be somewhere else tomorrow. There’s no need to panic or get upset. We’ll figure something out. So here, in a Canadian airport, we just kept practicing acceptance. While Eric connected with our friend to see what the story was with our car (and to make sure he was okay), I started playing travel coordinator. It was too late to ask anyone else to drive all the way up to get us, but I figured I could find a cheap airport hotel room for the night and catch a bus back home in the morning. Except when I went to online, there was only one hotel room available, and it was 50 kilometers away from where we were…and almost $400. I checked multiple sites. No luck. I went to the bus website and found that every ticket for the next three days was sold. I checked Amtrak. Same story. We went to the airport information desk and explained that we’d been traveling for twenty-one hours, and almost entirely offline for three months. We hadn’t seen any news, but something was obviously happening in Vancouver that day. That’s when we found out that the American team was in the FIFA Women’s World Cup, which was being played in Vancouver that night. It was a Very Big Deal for American soccer fans, who had spilled over the border in numbers probably not seen since the 2012 Olympics. And we’d landed right in the middle of it. I’ll spare you the details of the tragic comedy that filled the next couple of hours. I kept trying to practice acceptance while I tried alternate plans, but every effort was swatted down by some Camino god with a sense of humor. My sister, who’d moved to Seattle while we were gone, could drive up to get us…but no, someone had stolen her car a few weeks before, and she wasn’t allowed to drive her rental car out of the country. The very nice information desk people tried to find us a public bus to take us to the border…but no, we’d missed the last one. All of the private bus companies were booked for days. The final straw landed when I found out that ONE rental car company in the airport still had ONE car available, and for just $250 I could drive it one way from Vancouver to Seattle. It was a ridiculously inflated price, but it was the only option we had. So we stood in line for thirty minutes, finally got to the desk, navigated another ten minutes of paperwork, waivers, and questions…and then when I handed the woman behind the counter my card, she rejected it. I took a deep breath. Practice acceptance… okay, fine. I’d carried the “emergency” credit card for the past three months, though we never needed to use it. Now I pulled it out with a flourish. We offered cash to rent the car. She refused. No other rental car company had any available cars. That was the point where I ran out of acceptance. I sat on the floor of the rental car office, too tired to leave, too angry at them for not even trying to help. Our first day home from the Camino was not what we expected… RIP, Daisy the Car. Did I mention we have really great friends? He set out from Seattle once again, making it to the airport in record time, and got us home in the wee hours, twenty-nine hours after we’d started the trip. We slept really well that night. But of course, the adventure wasn’t over. Eric and I still had a car – our only car, by the way – stranded on the side of the highway. So the next morning, we woke up in time to take my sister to work and then borrowed her rental car and went looking for our car on the side of the highway, somewhere between Seattle and Canada. We had her towed to a mechanic, who looked at the melted engine and told us we should start shopping for a new car. The car was dead. ** Our homecoming was overshadowed by car shopping…which is not what you want to do right after you’ve gone without an income and spent most of your disposable savings on a three-month sabbatical. We went from being offline all the time to spending every spare minute scouring Craigslist. We went from relying almost exclusively on our own feet to obsessively thinking about, talking about, test driving, and comparing cars. Practice acceptance, Eric kept saying. He was very zen about the whole thing. Me? I was less so. I wasn’t prepared for this sudden immersion into ringing phones and emails and traffic and noise. I’d forgotten how to multitask. I didn’t want to work. I couldn’t afford not to. It was nice to have a real bed again, and a closet full of clothes that I didn’t need to wash in the sink every night. But the concrete jungles of used car lots didn’t compare to a field of poppies and crumbling chapels. In the end, of course, we slogged through the inconvenience just like we slogged through the occasional day of drenching Camino rain. It wasn’t pleasant, but it would end eventually. We’d buy a car, find our footing, and wind up in a new place again. Only now we had a few new tools…and mantras…to get there. * This, by the way, is unusual. Most rental car companies accept debit cards. ** I should say here that the car essentially committed suicide, and it had nothing to do with our friend driving it. That was just bad luck. Turns out that our particular year and make of car has a known (but unacknowledged by the manufacturer) habit of, without warning, destroying its own engine. This is something that became obvious when our mechanic tried to replace the engine—an expensive process, but cheaper than buying a whole new car—and couldn’t find a single one available for our make and model. That’s a great story. Love the line about forgetting how to multi-task. After making my way back to Madrid from Finisterre, I fully expected to sleep on the airport floor to catch my next morning flight home. The camino provided final magic by way of a basement hotel in Terminal 5. Woke up in the middle of the night thinking I’d slept the clock around and missed my flight, I had a total, complete meltdown. At least I didn’t have to buy a car when I got home. If an auto commits suicide, is it hari-car-i? I remember this episode. Everyone at the pig roast was wincing and shrugging for you two. One of the best “re-entry” Camino stories. 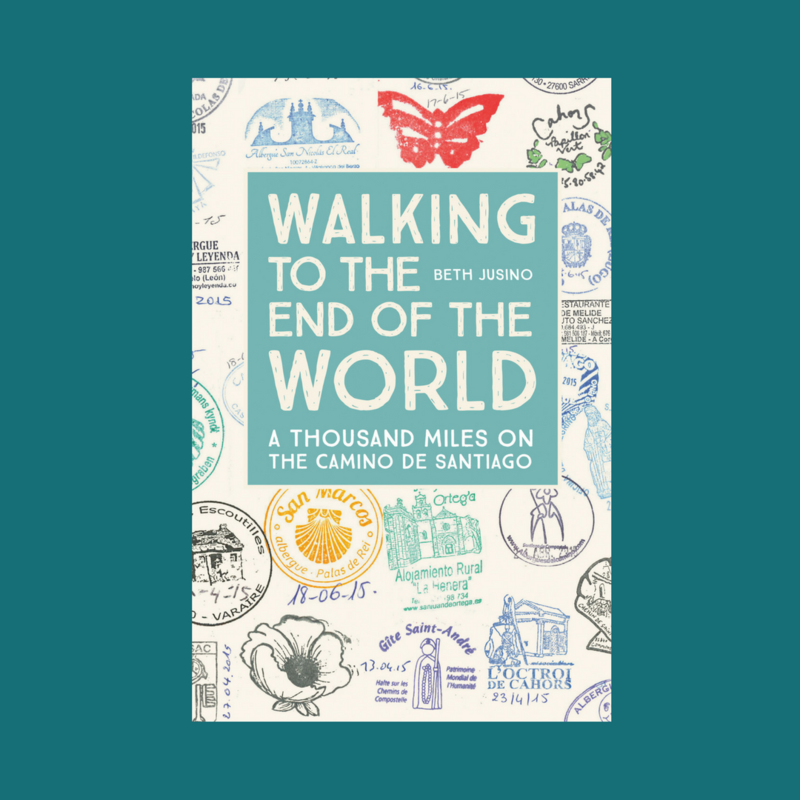 Second Camino re-entry was much better for us I think because we decided to spend five days in Santiago at the end. Good times.